Bryan Maier, colleague with me here at BTS Graduate School of Counseling, has just published, Forgiveness and Justice: A Christian Approach (Kregel, 2017). Over the last 11 years I have enjoyed listening to and debating with Bryan regarding matters pertaining to individual and corporate forgiveness. I now commend this fine book to you for your reading! It is good to see his work in print. As you likely know, forgiveness is a pretty popular topic these days, even outsid e of Christian circles. Bryan describes some of these approaches to forgiveness (do it because it is good for your health, do it to restore relationships, do it following a prescribed set of steps, etc.) and lays out a clearer definition of forgiveness and related concepts (justice, empathy, grace, repentance, and more). Without being overly methodical, Bryan examines the processes needed to move to active, other-centered forgiveness. However, along the way he spends a good deal of time talking about things such as the imprecatory Psalms (asking God for justice)–something not often found in literature encouraging us to forgive. Dr. Maier makes a persuasive and entirely readable case that biblical forgiveness happens only in response to authentic repentance. You will find this book clear, logical, and pastoral in its treatment of the concepts of forgiveness, repentance, and justice. Though forgiveness is a popular topic in mainstream literature, Dr. Maier gives a rare treat: cogent definitions and illustrations of God’s view of forgiveness from Genesis to Revelation. 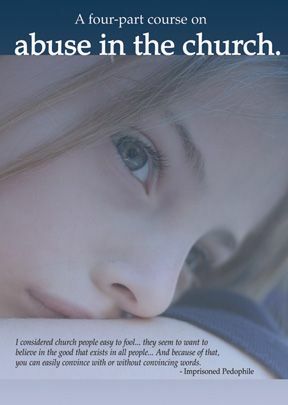 Using case studies, the reader experiences not only a better definition of the final acts of forgiveness, but also the necessary pre-forgiveness activities of healing and repentance. Victims of injustice will find comfort and relief in knowing that the focus of the forgiveness process falls squarely on the shoulders of the offender.